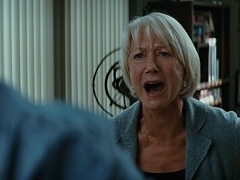 When Sofia (Helen Mirren) is denied entrance to see her husband, she gives the crowd something to write about. 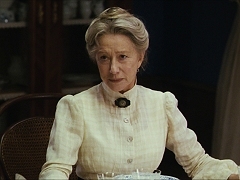 An argument between Tolstoi (Christopher Plummer) and his wife Sofia (Helen Mirren) gets out of control. 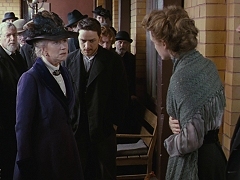 Valentin (James McAvoy) and Sofia (Helen Mirren) have a conversation on their way home. Compilation of press junket interviews with Helen Mirren and James McAvoy to promtote the theatrical release of "The Last Station". Helen Mirren is interviewed during a press junket in Germany to promtote the theatrical release of "The Last Station". Scenes from the making of the film and an on-set interview with Helen Mirren. 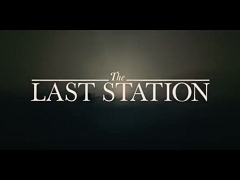 International theatrical trailer for The Last Station, starring Christopher Plummer, Helen Mirren and James McAvoy. 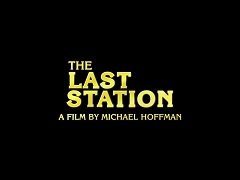 Theatrical trailer for The Last Station, starring Christopher Plummer, Helen Mirren and James McAvoy. Excerpt from State of Play, starring Russell Crowe, Rachel McAdams and Helen Mirren. 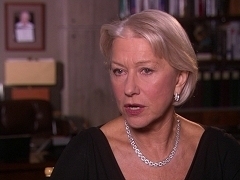 Helen Mirren is interviewed on the set of "State of Play". 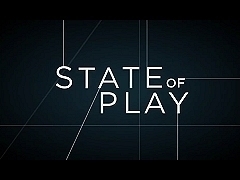 Promotional featurette on the making of State of Play, featuring interviews with Russell Crowe, Rachel McAdams and Helen Mirren. Theatrical trailer for State of Play, starring Russell Crowe, Ben Affleck, Rachel McAdams and Helen Mirren. April 24, 2009. Helen Mirren attends "Friday Night with Jonathan Ross" to promote the theatrical release of "State of Play" in the United Kingdom. October 23, 2009. 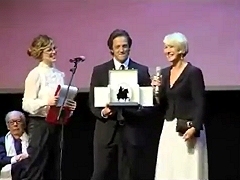 Helen Mirren was voted Best Actress for The Last Station at the Rome International Film Festival. April 26, 2009. 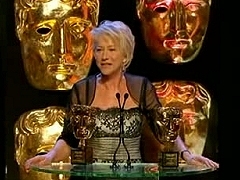 Helen Mirren presented the fellowship award to Jennifer Saunders and Dawn French of French and Saunders. BBC documentary on the real story, including interviews with the real participants and on-set footage from the making of the film. Jane Tennison is No. 12 on ITV's Top of the Cop's list. The profile features interviews with police detective Jackie Morton and Helen Mirren. 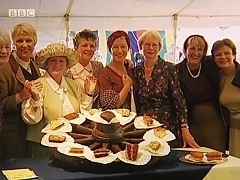 Special from James May's Toy Stories at the Chelsea Flower Show, where he talks to many guests and celebrities, including a brief talk with Helen Mirren. December 14, 2009. Helen Mirren and director Michael Hoffman are interviewed after the Variety screening of The Last Station. December 15, 2009. 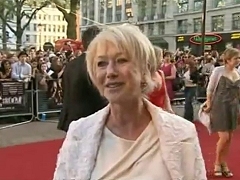 Helen Mirren is interviewed on the morning of receiving an Oscar nomination as Best Actress for The Last Station. September 11, 2009. Report on the National Theatre production of Phedre, including footage from the rehearsals. June 09, 2009. Helen Mirren is interviewed on the red carpet at the AFI Life Achievement Award tribute to co-star Morgan Freeman. April 22, 2009. Report on the London premiere of State of Play, including interviews with Russell Crowe and Helen Mirren.